One of six warships built to regain control of the upper Great Lakes from the British during the War of 1812, the hastily built Niagara was Commodore Oliver Hazard Perry's relief flagship in the Battle of Lake Erie on September 10, 1813. In this pivotal naval battle the entire British squadron of six warships was captured by Perry's nine ship squadron. Following the battle, Perry sent his classic message of victory, "We have met the enemy and they are ours..." This victory led to the reopening of American supply lines on the upper Great Lakes, removal of the British and Indian threat to the Northwest Territory and improvement of the country's morale. After the war, Niagara served as a station ship in Erie until she was scuttled in Presque Isle Bay in 1820. The wreck was raised and rebuilt in 1913 to commemorate the centennial of the battle at Put-In-Bay, Ohio. Following the celebration she became a museum ship in Erie. Niagara was rebuilt again between 1933 and 1943 and placed ashore in downtown Erie. She underwent her third reconstruction, between 1988 and 1990, which enabled her to return to the water as an active sailing ship. Sailing again, Niagara serves as a reminder of one of the United States' greatest naval victories of the 19th century and of the nearly two centuries of peace between the United States and Canada that have followed. Her operating base is the Erie Maritime Museum. 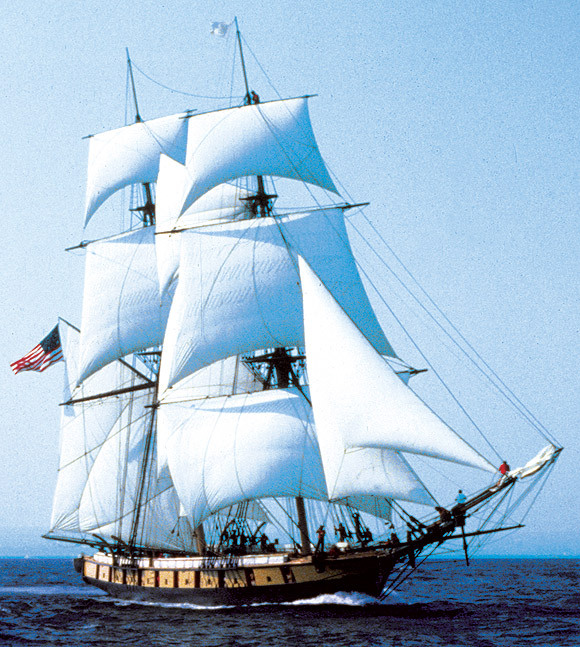 The United States Brig Niagara is listed on the National Register of Historic Places. 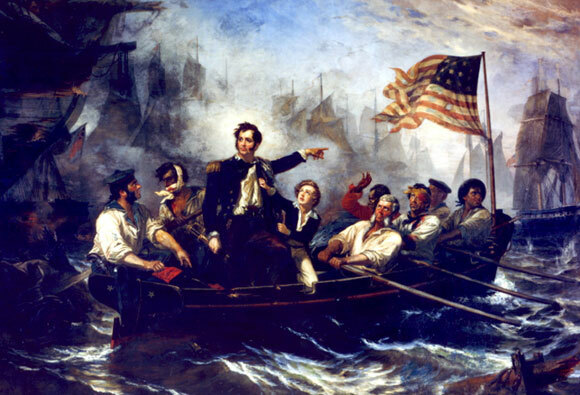 Perry's Victory on Lake Erie, by William Henry Powell.